Bill Gallegos was Executive Director of Communities for a Better Environment (CBE) one of the leading environmental justice organizations in the country from 2006-2014. 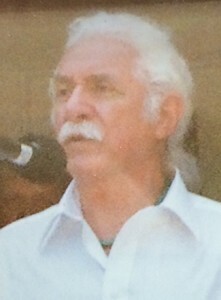 Bill first became active in the 1960’s with the Crusade for Justice, an outstanding Chicano civil rights organization. Bill has also been a labor, campus, and community organizer. While executive director at CBE, the organization achieved landmark regulation of oil refinery flaring (the highly toxic practice of burning off excess gases into the air), and in leading local campaigns that could have a significant impact in reducing greenhouse gases and co-pollutants, improving public health, and advancing the transformation to clean alternative energy. Bill is currently active with Building Equity and Alignment for Impact (BEAI) a national initiative to build stronger partnership between grassroots environmental justice organizations, green groups, and the philanthropic community. One of the primary goals of the BEAI is to address the funding disparity between green groups and grassroots organizations. Bill has recently authored a case study entitled “The Perfect Storm That is Taking Down Chevron” a study of an African American, Latino, and Laotian social movement in Richmond, California that successfully challenged a Chevron Oil Company project to refiner dirtier grades of crude oil. Dr. Subbu Sastry currently works at the Wikimedia Foundation and is an active contributor to other open-source software. He is originally from India and has been active on both domestic and international social justice issues. He volunteered and co-ordinated the Madison Chapter of Asha for education, was a member of Friends of River Narmada, and worked for the Environmental Support Group, Bangalore, India. He provided research, campaign, and technical support to these and other organizations. Subbu has a PhD in computer science from UW-Madison. 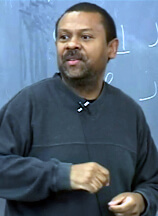 Dr. Nicky Sheats is currently the director of the Center for the Urban Environment at the John S. Watson Institute for Public Policy of Thomas Edison Sate College. The Center provides support for New Jersey’s environmental justice community. He is also a member of the New Jersey Environmental Justice Alliance, the state’s only statewide environmental organization that focuses solely on environmental justice issues. Dr. Sheats works on particulate matter air pollution, climate change, cumulative risk and impacts, the siting of schools on contaminated land, and environmental justice law. Dr. Sheats received his Ph.D. from the Department of Earth and Planetary Sciences at Harvard University. His field of study was biological oceanography and his specialty was stable isotope biogeochemistry. After graduating he worked for Environmental Defense as a science and law fellow, at the College of New Jersey as a visiting scholar and at the Earth Institute of Columbia University as a post-doctoral fellow. Dr. Sheats also attended Harvard Law School and worked as a public interest attorney for almost eight years. He served as a law clerk for the Chief Judge of the District of Columbia Court of Appeals, a landlord-tenant and housing attorney at Camden Regional Legal Services, a public defender in New Brunswick, New Jersey, and a legal instructor at a community legal education and college preparatory program in Harlem. 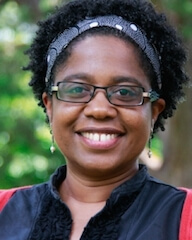 Lena Jones is political science faculty member at Minneapolis Community and Technical College (MCTC), where she has been teaching since 2002. In addition to teaching, she coordinates the Community Development A.S. Degree Program at MCTC and serves as the Minnesota and Mississippi Site Coordinator of Community Learning Partnership (CLP), a national network that aims to create pathways into community change careers. Since 2006, she has been the Director of Race in America, Then and Now, a summer field study course of the Higher Education Consortium for Urban Affairs (HECUA). She has participated in research projects exploring racism, immigration, and social movements in Western Europe and South Africa. In 2004, Lena received a fellowship from the University of Minnesota’s Human Rights Center to support a residency with the Institute for Democracy in South Africa (IDASA) where she participated in IDASA’s efforts to institute civic engagement projects in the Gauteng province. Lena has a Master of Arts degree in Political Science with a focus on International Relations and Comparative Politics from the University of Minnesota-Twin Cities and a Master of Science in Experiential Education from Minnesota State University- Mankato.